I was inspired by a non-linear, matter of fact series of events to enact a ritualized death mask ceremony. 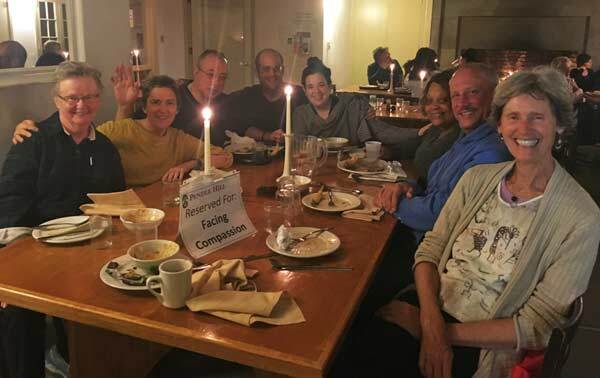 On the full moon of early November 2017, eight people came together over a weekend to do just that, and Faced Compassion. NOTICE: This is only one way to approach such great mysteries as these, and by no means the only. After a beautiful organic farm to table dinner at our Quaker retreat center, we all gathered behind a red and gold tapestry with a sun on it, hung upside down. I want to note that it was not intentionally hung upside down. When conducting ceremony, I always pay attention to seemingly small details, so even though it was an “accident,” I chose to leave it. It served to remind us of the Pachakuti, world upheaval, that we are currently going through. Lined up behind the curtain according the order we would be sitting in, we progressed in, right foot first, to what would be our sanctuary over the next few days. Hearts were so full. We found our seats in the dim light and everyone had their mesa with them. Some were already mesa carriers and some birthed their mesa that night. After the mesas were set up, we went around with the talking stick (my extremely elegant Elk Antler drum beater) and stated our name, where we were born, and what ancestor we were bringing to the gathering. The inclusion of the ancestors was such a force. It brought in a depth of soul and a sense of deep time who’s impact I couldn’t have predicted. About the Mirror in the North: My grandmother, whom I called Nanny, passed away on October 10th, 2017 at the formidable age of 95. In the swell of the Moon after Day of the Dead, it seemed only right to place the mirror she died in front of, as the anchor of the altar in the north. As a completion to each person’s introduction, we lit a candle on the central altar, anchoring their presence. There are details I feel are too intimate to share just now, but I assure you, having the courage and the willingness to feel pain is a burden that shouldn’t be carried alone. That night, and through the weekend, we carried it together. Saturday Morning: Breakfast and a Later than Expected Start. Saturday morning one of our members felt that the weekend was simply not the right fit for him and he needed to leave. It was a very challenging thing for me to continue to hold the space of the ceremony, of the temple, and also really show up for this man. I took some time and Lance (my Husband and Auxillio – helper) did too, to check in and see if there was anything we could do. The beautiful part of this unexpected unfolding, was that I asked my man in the East to lead a meditation. I know him to be an Aikido Teacher so felt confident he would take good care of everyone there. When I came back to the room after saying goodbye, the energy in the room was elegantly balanced and poised for a deep dive into making a death mask. We breathed into the stillness created by the group, allowed for a re-centering, and then set up our space to begin the practical aspects of making a plaster mask of each very precious face. If you want to know more about what the heck I’m talking about when I say things like ‘my man in the east’, then I highly recommend coming to the 5-Part in-person apprenticeship I’m putting together here in Philly. If that’s not possible, take an online course with don Oscar Miro-Quesada. To follow the unfolding of this event, read on. To accompany the tender and beautiful process of making a full-face mask, I played music by our brother Madhu. Those sounds took us to safe and spacious places in our burial process, as did the tender loving presence of absolutely every person in that room. The most important thing to insist upon when inviting strangers or lovers to make contact with each other in this way, is to insist that they only touch with Love. If they do this, they cannot do wrong. What I have left out of this description is what isn’t mine to share. I can only tell you what I witnessed and what I experienced. There are undoubtedly eight different versions of this event. Maybe nine. Possibly more. We were late to lunch. We ate well anyway. We gathered back together. The partners switched places, and those who had come through their burial got to welcome the other to its blissful darkness. I had asked everyone not to share about their experiences until each person had had a chance to have a mask made. What blew my mind into total silence was how deeply people were touched by making the mask for their partner. I expected most people to have been moved by the experience of having a mask made for themselves. And they were moved by that, viscerally, but I didn’t expect the process of making a mask for another to be so poignant. I am in awe of how universally loving each and every person in that room was. What balm for the soul to know intimacy such as this. Such freedom. Well, after that there was nothing left to do but dissolve, so that’s what we did. Everyone made themselves comfortable and we opened the space for the gong to carry us through all worlds. If you’ve never heard Lance play the gong, it’s no use to try and describe it. They say the gong contains all the sounds of the universe and so far as I can tell, it’s true. The care and mercy present in the room was so moving that I was rocked off my center for a moment. It is good to remember that loving acts can be just as powerful and impactful, if not more so, than traumatic ones. They cause us to re-orient around a new origin point. Assemblage point some call it. Illumined darkness is a powerful portal for loving reassembly. The last people wrapped up around 4:15pm and we took a break before dinner. I have to admit, I was having a hard time at that point in the ceremony. I was feeling the intensity of emotions and I was okay, but I needed to get my bare feet on the earth and my back up against a tree if I was going to find my center again. Thankfully, the property we were on was home to many remarkable and generous trees. I turned myself over to Mother Earth, Pachamama, for a few minutes. I am so grateful to be able to feel so much and to be so supported. We all are! We started with a meditation and then were guided into the remembrance that truly, we are works of art. Our whole lives and collective experience has contributed to the expression we are today and we would be poorer if we lacked any of our woes or joys. The presence of Self-love and appreciation was no longer a suggestion or thought, but a state of being. 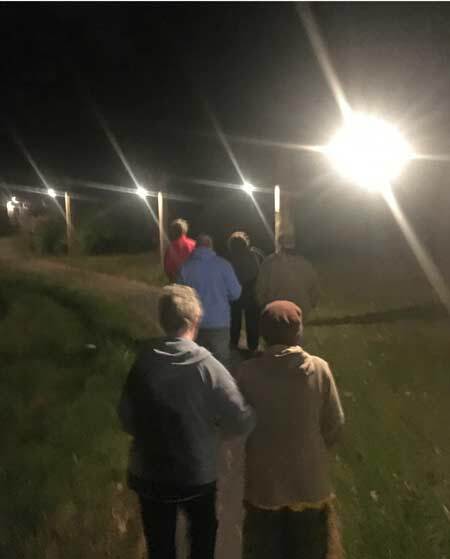 As the participants beheld themselves, we moved into a consideration of purpose, connection, and going forward into the world from what opened in the weekend. After people shared a final thought about what was going to stay with them during this time of great upheaval, we moved to close. After such a depth of experience and presence, the only place to go was to that of our Rainbow Tribe. 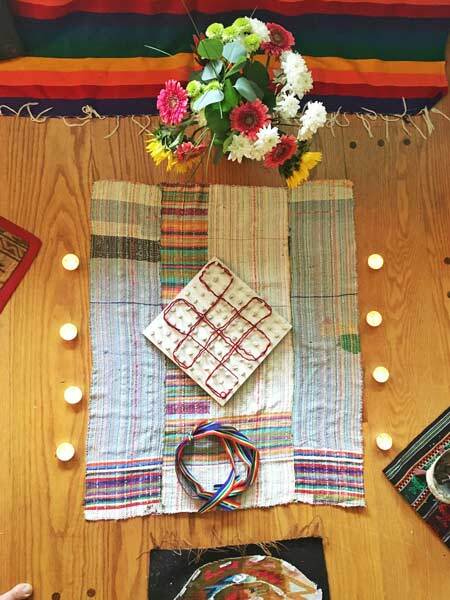 We opened space to recognize, name, and presence all those who support us on our path in body or in spirit and felt the room fill to spilling. There were names which made us cry, made us hope, and made us re-Member that we are not alone. We gathered back in our sanctuary and we had an opportunity to share anything that felt essential to share about our experience. Our final morning arrived and the space welcomed everyone with lovely music and a new package on their mesas. Individually wrapped in blue velvet cloth were the finished masks, in all their potent and precious uniqueness. What a gift to carry the Pachakuti Mesa. What a gift to walk this road with you. What a privilege to Face Compassion. 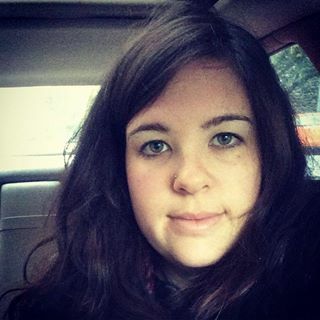 After we closed and had lunch and packed up, I was feeling so good! We got home and unpacked and I had just finished unpacking the very last thing and was about to kick back and revel in the beauty of it all when I got a phone call with some sad news. On Saturday November 4 at 4pm, our inimitable Gary Langston – Red Bear Who Sees All Worlds – made his final journey from his body. The preciousness of life resurged in my heart like a freshly popped bottle of champagne and I was once again thrust into awe, appreciation, and utter bewilderment of this wild and precious life. Robin Harman for teaching me the bones of this ritual. 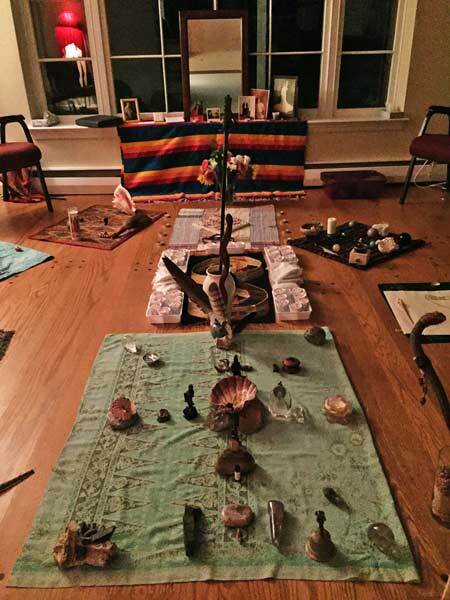 Cindy Miro-Quesada for reminding me to include an Ancestor Altar, and so much more. Oscar Miro-Quesada for seeing in me what I long to see in myself. Quan Yin for her unending generosity, care, and presence. The Great Mystery for orchestrating where I cannot see nor hear.